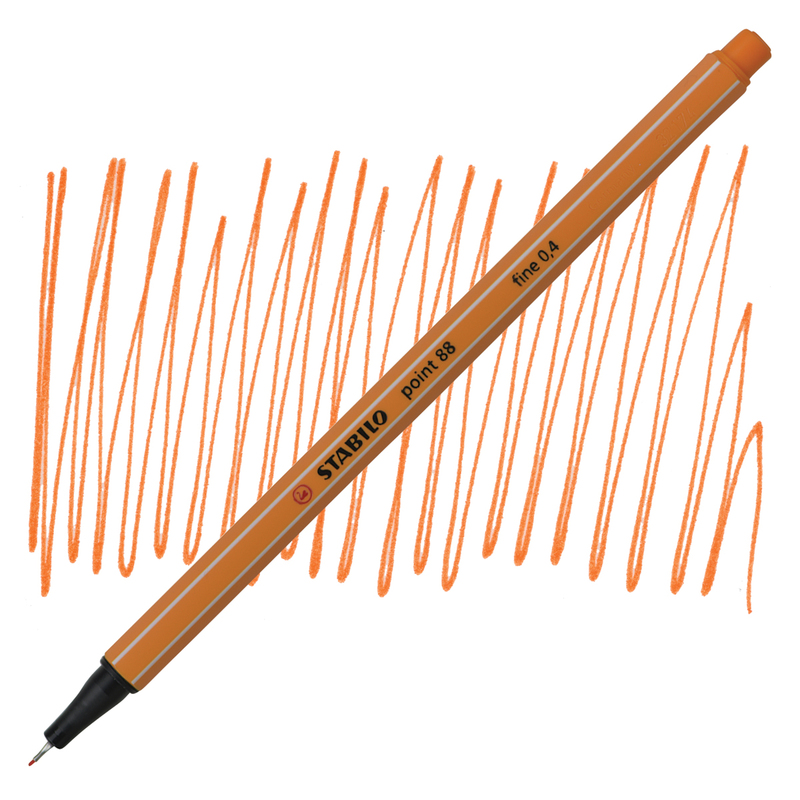 These .4 mm pens feature water-based ink in vibrant colors, formulated to sustain a long cap-off time. The long-wearing tip is encased in metal to extend the pen's life. It features a unique hexagonal shape and ventilated cap. ® Stabilo is a registered trademark.® Point 88 is a registered trademark.